Going to the grocery store to buy produce and items for daily use is very important. Everyone has to go to the grocery store to buy essential items for their daily sustenance. However, every time you go shopping for grocery and produce, the items will be kept in a plastic bag and handed back to you. These plastic bags are generally disposed in standard waste bins. The impact on the environment is considerable, and the oceans are already filled with plastic bags. Plastic bags are the number one source of harmful waste in the environment. The average person goes through six to eight shopping bags each week. On average, there are more than a billion plastic bags that are used and discarded on a weekly basis. If a fundamental shift does not occur, the environment will continue to be affected drastically. 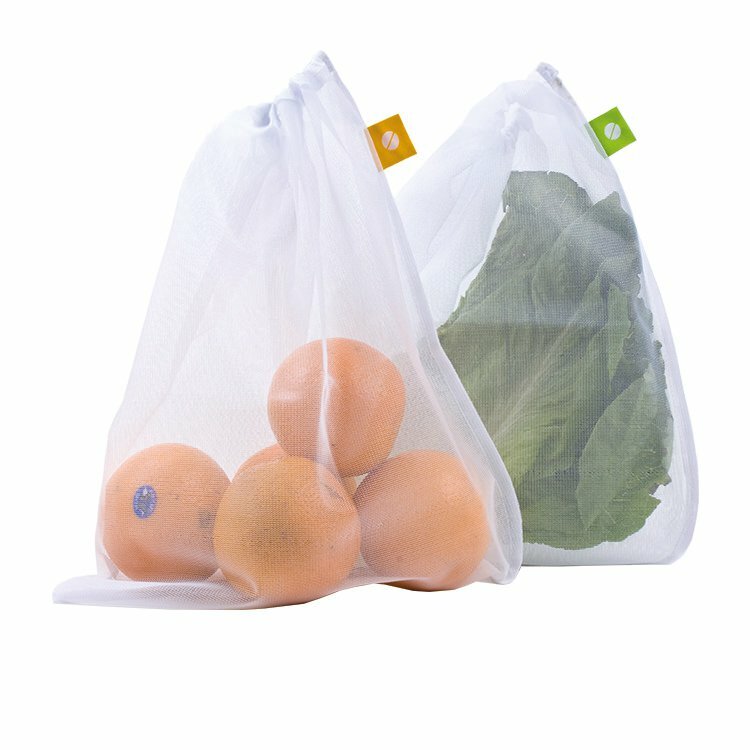 One of the best things that you can do is use reusable produce bags. Instead of throwing away the shopping bags again and again, you can buy reusable ones and keep using them again and again. There are many reasons why you should consider using reusable bags. Here are just a few major ones. How long do you think it takes for plastic to decompose? On average, an average plastic can take anywhere between 15 to a thousand years to break down and decompose, depending on the environment they are kept in. In a landfill that’s filled with garbage, the one thing that will not decompose easily is plastic. Plastic is not biodegradable at all, and paper bags don’t fare much better. That’s why you should consider using biodegradable bags. While plastic bags do not biodegrade, they can be broken down using photo degradation. However, when photo degradation occurs, the plastic bag breaks down into smaller, toxic particles. These could prove to be even more harmful for the environment. Based on a conservative estimate, almost a million birds, a hundred thousand turtles and a myriad of other sea animals die each year because they end up ingesting plastic. These animals tend to mistake floating plastic particles for plankton and seafood, and end up ingesting them. Once they are ingested, the plastic bags block the digestive tract or their nasal passageways, eventually causing an animal to starve or asphyxiate. Using plastic bags is a terrible idea and it could have a major impact on the environment. Moreover, plastic bags can cause serious blockages in the drain pipes or the storm drains. They can also clutter the beaches and can even get stuck on the trees. A considerable amount of governmental effort is involved in cleaning up the coastal litter, so it could have a major impact on governmental policies. By reducing the wastage and reliance on plastic bags, it could reduce the impact on the environment and also reduce the costs of governmental efforts on an annual basis. These are just a few things that you should know about using reusable bags. Next How To Find Trusted Dealers Buy Gold From?